This Weekend I attended part of the Science Writing Summit 2014 #SciWriSum14 #sciwrisummit, an inspiring gathering of science writers to advance the status of women in this profession. The program was action-oriented, with break-out sessions reporting to the plenary and producing a great list of action items for the group to continue working on during the coming months. The most prominent deliverable was the draft of a Bill of Rights for Science Writers that would call on employers to ensure equal opportunity for all journalists regardless of gender, race, national origin, sexual identity, age and religion, and to commit to high standards of ethics and professional conduct. All of us can learn from these ideas and conversations. By way of background, there are about two thousand science writers in the US; the field is about 1/3 the size of astronomy. Unlike astronomy, where most professional jobs require a PhD in astronomy or a related field, writers come with a wide variety of backgrounds, including degrees in science, journalism, or other fields. Many science writers are freelancers, i.e. contract writers, rather than fulltime employees. Freelancers have the least institutional support and are therefore more subject to discrimination and harassment than others. Several people I spoke with said they thought the situation of women was better in universities than in the private sector, which led to interesting conversations on the role of government accountability for federal contractors. For example, universities report their student and employee diversity using either IPEDS or the EEO-1 mechanism; some readers will know it took a great deal of effort and Freedom of Information Act requests before Google released their EEO-1 form showing that the vast majority of their professional employees are white or Asian males. Universities are required to be transparent, which makes it harder to sustain institutional inequity. Another example is the national attention focused on sexual assault and harassment thanks to Title IX, which does not apply to companies that do not take federal funds. Science writers are expert in understanding the impact of words. I met writer Christie Aschwanden and learned about her Finkbeiner Test for gender bias in science writing. Named after journalist Ann Finkbeiner -- who wrote an article about astronomer Andrea Ghez that made no mention of her gender, husband, child care arrangements, being a role model, etc -- the Finkbeiner Test is a great way to engage astronomers in discussions about gender bias. I would encourage anyone interested in gender equity to follow the work of the Women in Science Writing, as well as groups in other fields whose ideas will help us all. 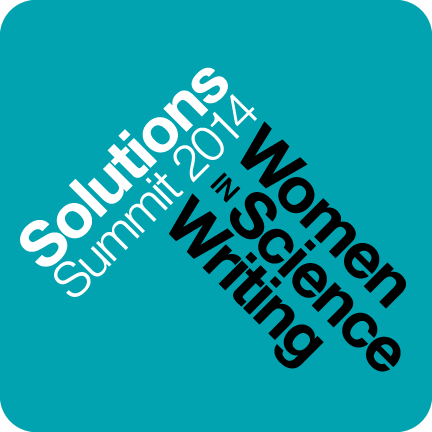 Thank you to the organizers of Science Writing Summit 2014!